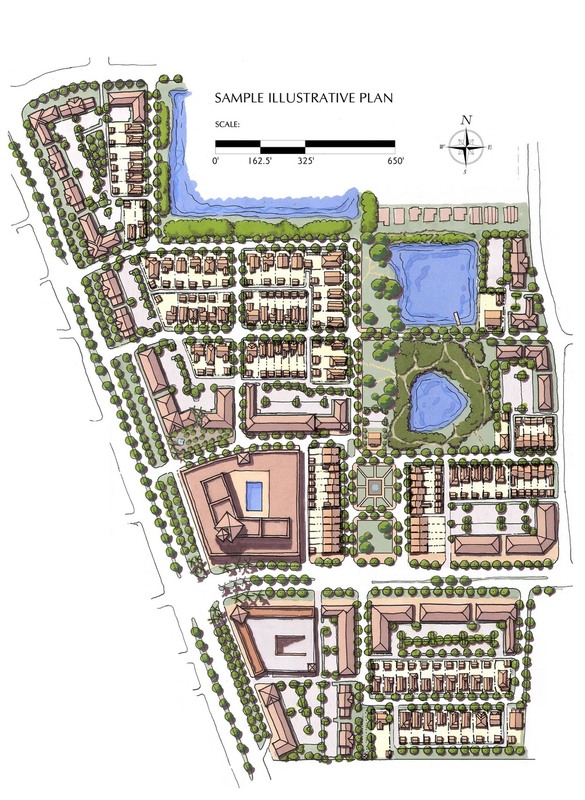 Sarasota County’s Planned Mixed Use Infill District was crafted to encourage sustainable, mixed-use neighborhoods for the county’s aging commercial corridors. 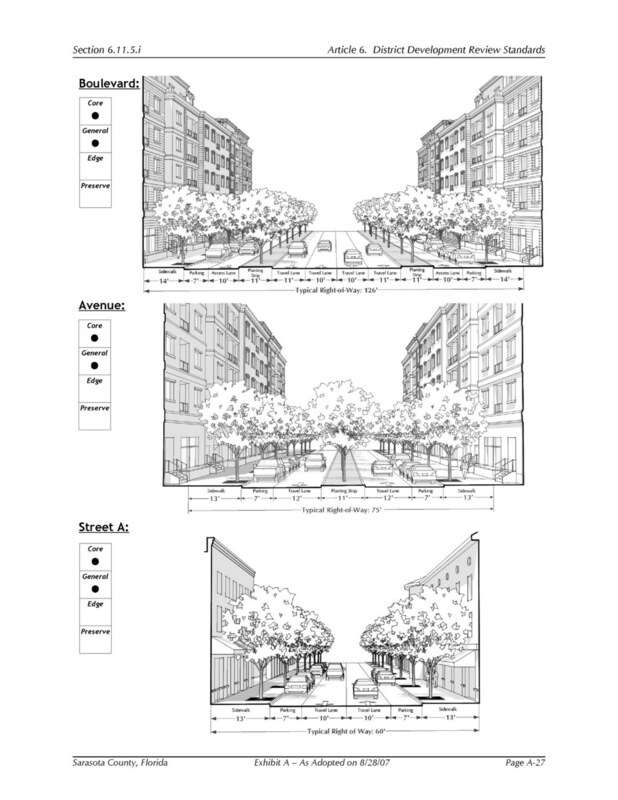 Redevelopment plans using this code must exhibit traditional neighborhood development characteristics, including: a highly interconnected street network, dispersing traffic and providing convenient routes for pedestrians and bicyclists; high-quality public spaces, with all building façades having windows and doors facing tree-lined streets, plazas, squares, or neighborhood parks; compact development, creating a walkable urban environment and conserving land and energy; diversity not homogeneity, with a variety of building and street types, open spaces, and land uses; and resilient and sustainable neighborhoods, adaptable over time to improved public transit and to changing economic conditions. The Planned Mixed-Use Infill District was created in collaboration with Spikowski Planning Associates and Hall Planning & Engineering. The Code is organized around the urban-to-rural Transect, a system of classifying development intensity that ranges from intense mixed-use development ("Core") to residential areas similar in scale to adjoining neighborhoods ("Edge"). A "Preserve" transect zone is also included to provide areas of undeveloped land for environmental protection, permanent natural amenity, or for perimeter buffering if needed. Applicants who wish to utilize the new zoning district will be required to conduct a public planning process to create a concept plan for their property. A formal charrette process will allow the community to participate in planning for the property and to help form a general consensus as to scale and form. In return, applicants will have an expedited review process.